She knew just what she'd been through. 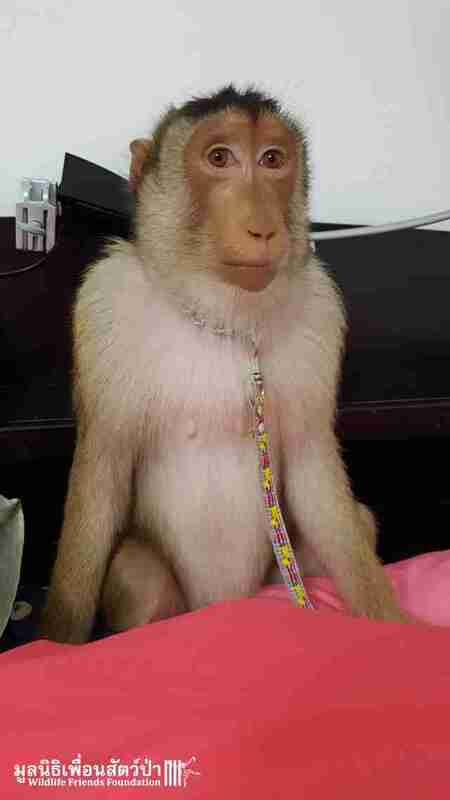 Bobo, a southern pig-tailed macaque, was bought as a pet over Facebook five years ago when she was just 3 months old. No one knows what happened to her family or how she wound up being sold as a pet, but she spent years in a house in Thailand, dressed up in outfits, with a chain around her neck. 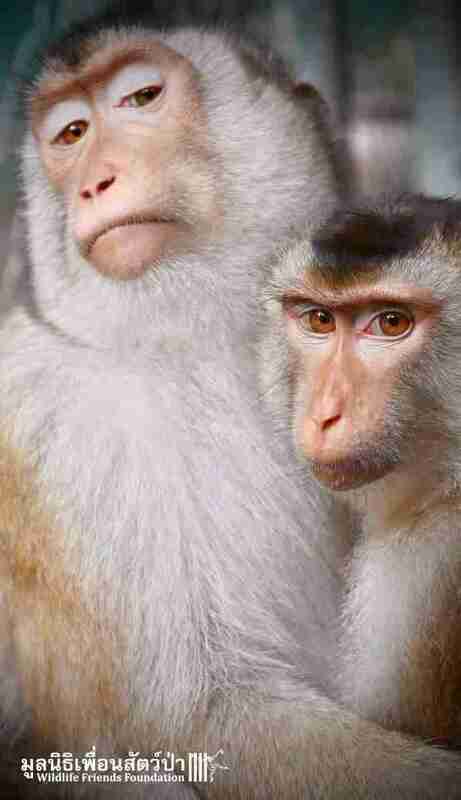 Any memory of being a free macaque in the forest with her family became more and more distant. Finally, in October, her owner had to move away and gave Bobo to Wildlife Friends Foundation Thailand (WFFT), a sanctuary for animals like her. And when she arrived, there was someone very special ready to welcome her. Another southern pig-tailed macaque named Nam Phet, who was rescued just this past August, instantly took to Bobo when the two met. 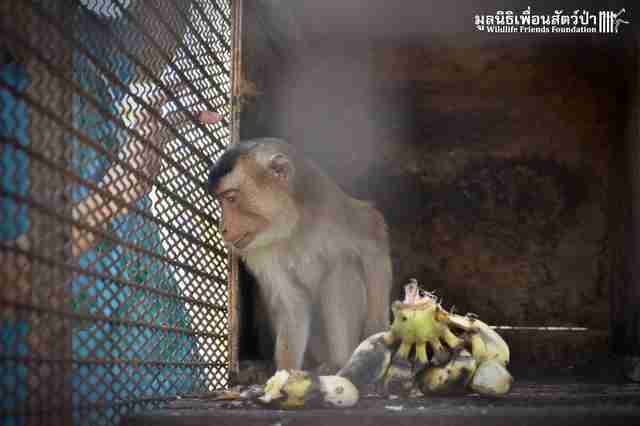 Nam Phet, who is about 3 years old, had also been bought as a pet when she was a baby, after her mother was killed. 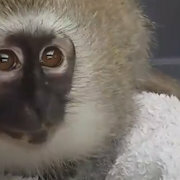 "When she began to become aggressive she was locked in a small cage," WFFT wrote. "Thankfully the owners felt she needed a better life and asked us to help." 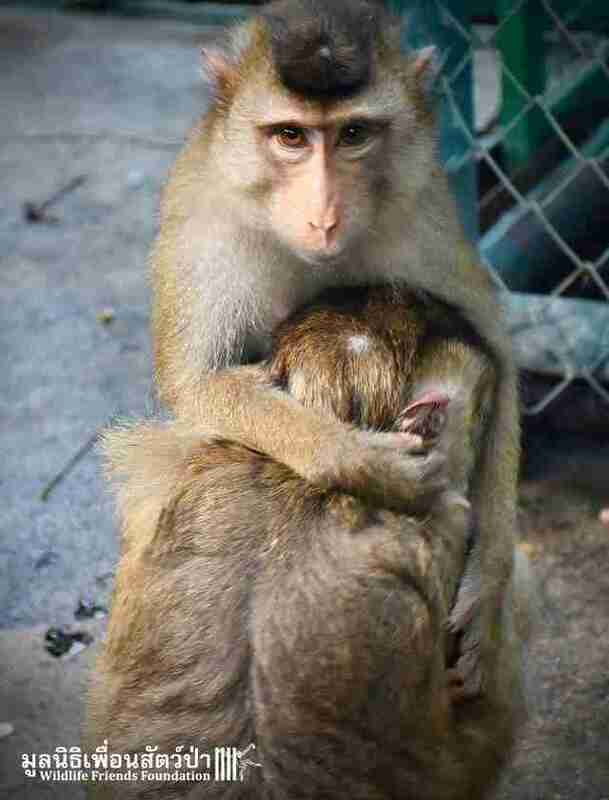 Macaques, like all primates, are highly social animals — spending years in isolation can be extremely damaging to them, physically and mentally. 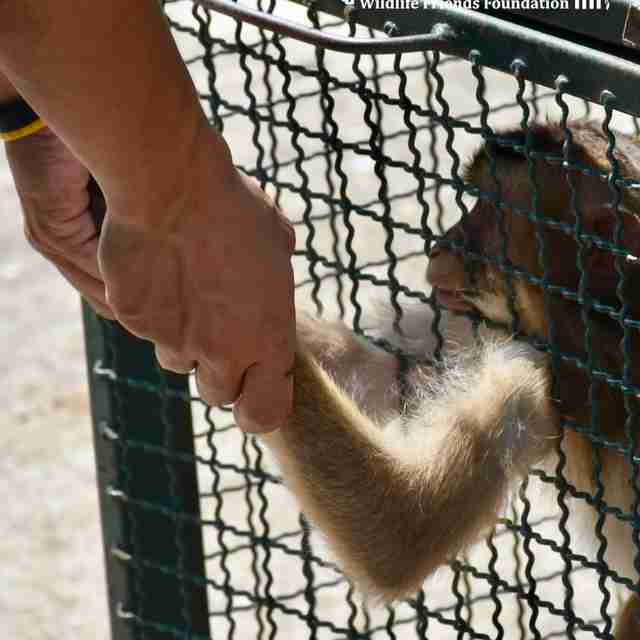 So Bobo and Nam Phet's friendship isn't only a heartwarming story, it's essential for the rescued animals' well-being. The new best friends are playing together and grooming each other, which soothes them. "Over the last few days, two lonely souls have been reintroduced to their kin," WFFT wrote. "Instantly, instinctively, they knew they were monkeys again!" 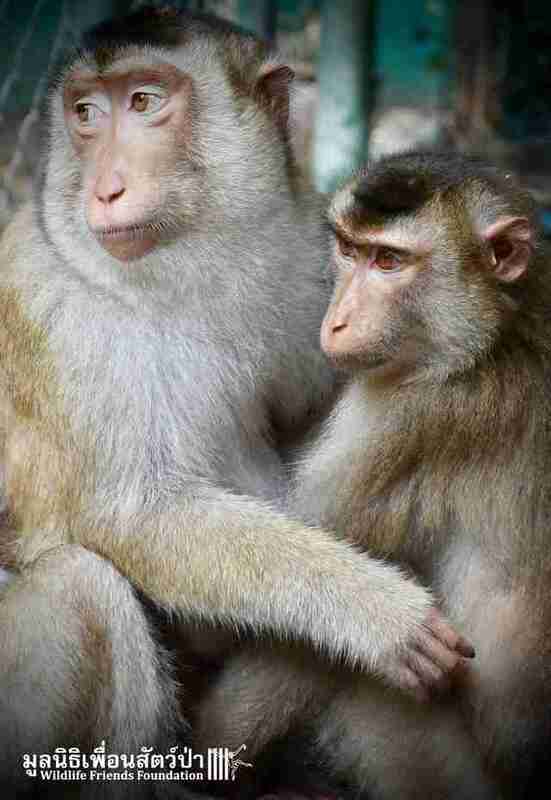 You can help care for the victims of the exotic pet trade, like Bobo and Nam Phet, by donating to WFFT.